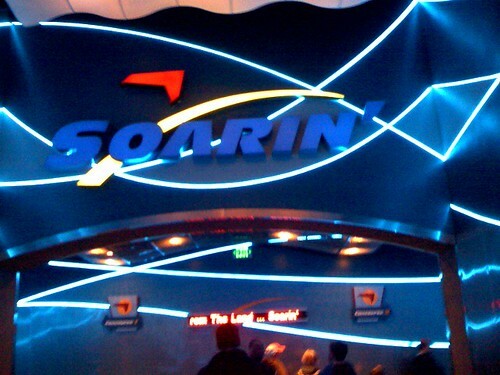 7:42 pm - Soarin' Concourse, originally uploaded by asdhollywood. my room after my dinner break. Still a ways from actually riding. You'd think I'd never been on it before.